Hitomi, launched back on February 17, ran into severe trouble on Saturday, March 26 when it failed to check in with a ground station during a scheduled communications pass. Five debris objects separated from the spacecraft were tracked in orbit and calculations by the Joint Space Operations Center showed they were liberated from Hitomi around 1:42 UTC +/-11 minutes, indicting a very serious onboard anomaly had transpired. Beacon signals were received from the spacecraft three times until March 28, but Hitomi has fallen silent since then. 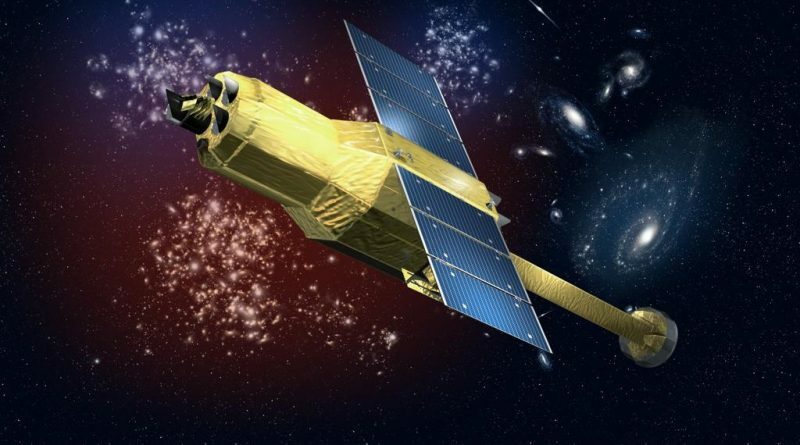 Because of a lack of telemetry data after the event, JAXA faced a difficult task when attempting to pin-point what happened to the Hitomi X-Ray Observatory. In a press briefing on Friday, a scenario of events was presented explaining Hitomi’s current state. The spacecraft finished a re-orientation maneuver at 18:22 UTC on March 25, slewing from observing an Active Galactic Nucleus to the next target. 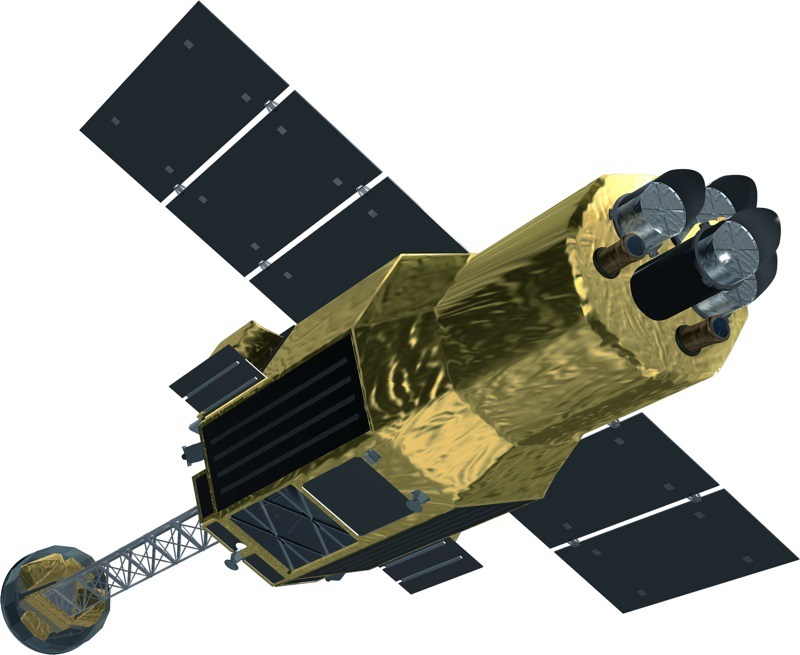 Immediately after the re-orientation, Hitomi’s Inertial Reference Unit (IRU) observed a non-existent roll rate around the spacecraft’s Z-axis. Typically, a sudden increase in IRU error is canceled out over time as a result of the time integration algorithm used by the IRU attitude determination scheme. Also, when a persistent difference between IRU and Star Tracker data is seen, the spacecraft controller is programmed to automatically supersede the faulty IRU data and use the more precise Star Tracker data. This did not occur in this particular case because no Star Tracker data was being captured. 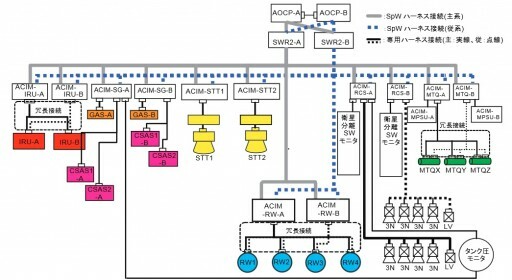 Only relying on the erroneous IRU data which drifted to sensing a 21.7 degree-per-hour roll, Hitomi’s flight control system started countering the non-existent roll by using the spacecraft’s reaction wheels. The induced torque led to an actual roll rate building up opposite to that sensed by the faulty IRU. JAXA estimates the event occurred around 19:10 UTC on March 25 and Hitomi entered a roll of around 20°/hour. As momentum started building up on the Reaction Wheels, the magnetic torquers of the spacecraft began to attempt to dump momentum, but the system was not effective at the body rates of the spacecraft. From 20:49 to 01:04 UTC, momentum on the Reaction Wheels continued building up until the system was near saturation at a momentum of 112Nms (vs a 120Nms limit). When the wheels were close to saturation and the IRU was still showing a large roll rate, Hitomi automatically switched to Safe Mode in which the vehicle is programmed to use its Sun Sensor to determine the solar vector and then correct its attitude using the thruster system in order to point the solar arrays to the sun for power generation. However, acquisition of the sun did not work as programmed and the thrusters started firing, increasing the rotation on the spacecraft. 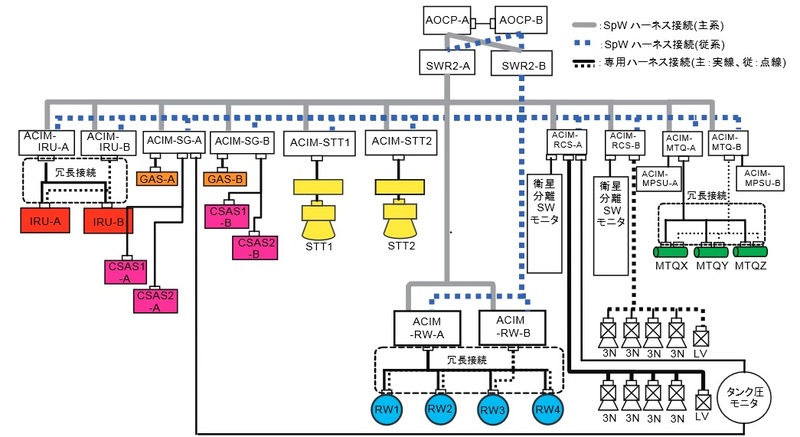 According to JAXA, thruster settings were updated after the February 28 deployment of the Extensible Optical Bench. After this deployment was completed, issues arose when attempting to acquire the sun using the Sun Sensor. In addition, the deployment of the optical bench changed the center of mass characteristics of the spacecraft which required thruster algorithms to be updated. JAXA concludes that the new thruster settings were not appropriate and in the end resulted in accelerating the roll rate on the spacecraft. With the roll rate accelerating dramatically, JAXA estimates that multiple objects were released by the Hitomi spacecraft around 1:37 UTC on March 26. The current suspicion is that the liberated debris pieces include the Extensible Optical Bench and the outer portions of the solar panels. 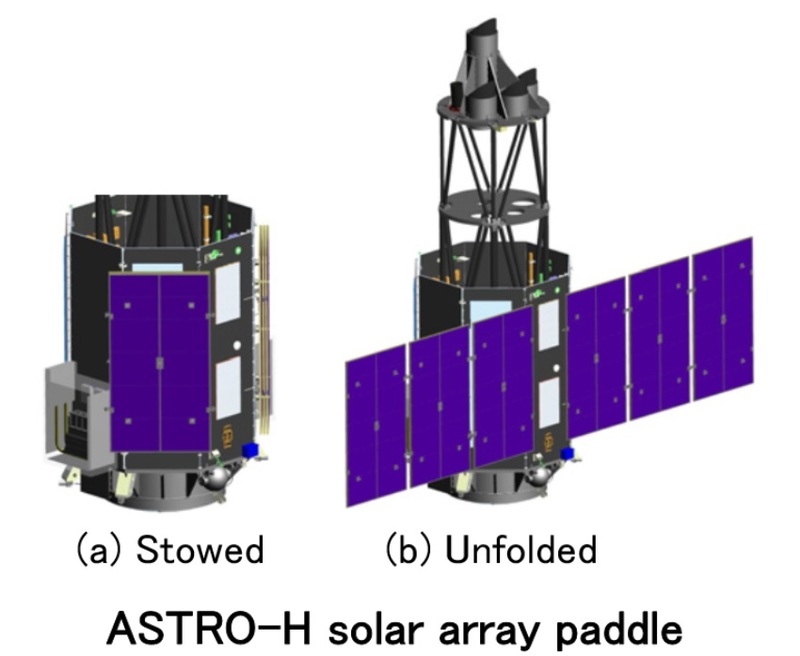 Brief signals were received from Hitomi on three occasions until March 28, but since then, the spacecraft has fallen completely silent – likely due to the depletion of its onboard battery as no power is generated with the vehicle in a fast spin. Optical and radar observations from the ground indicate that the roll rate on the spacecraft increased since the debris event occurred. The scenario outlined by JAXA highlights a series of onboard failures leading to Hitomi ending up in a deathly tumble through space. Trouble first emerged when the Star Trackers were unable to deliver the data needed for the correction of a large bias in IRU data. The IRU’s time integration caused the expected drift of the error to smaller values, but the erroneous roll reading stalled at 21.7°/h leading to the spacecraft inducing an actual roll when attempting to correct the non-existent roll reading. Hitomi’s fate was sealed when the spacecraft Safe Mode kicked in an operated the vehicle’s 3-Newton thrusters according to settings that were not compatible with the present spacecraft configuration, further accelerating the roll and causing pieces to be slung from the spacecraft. An investigation is underway looking at the thruster settings updated after the optical bench was deployed. 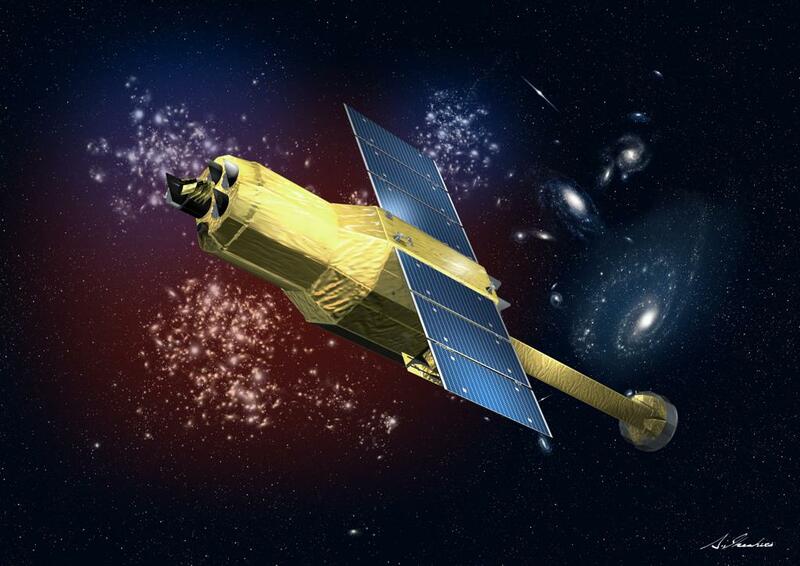 For Hitomi, the outlook remains rather bleak as the vehicle is likely missing a significant part of its power-generation ability and remains in a tumble through space. JAXA said earlier a recovery, if at all possible, would take at least several months, but in light of these latest insights it seems unlikely that the mission can be salvaged. 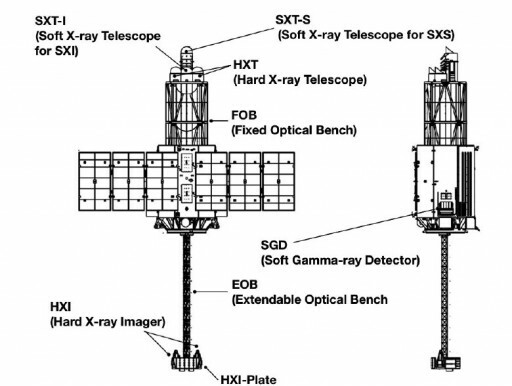 Hitomi was outfitted with two pairs of X-Ray telescopes to complete simultaneous acquisition of spectra and imagery in the Soft and Hard X-Ray regime along with a Gamma-Ray Detector to cover the highest particle energies. The Hitomi mission was expected to deliver breakthrough results in a diverse area of science, ranging from the large-scale structure of the universe and its evolution to the behavior of matter in strong gravitational fields, the physical conditions at sites of cosmic-ray acceleration, and the study of dark matter in galaxy clusters. 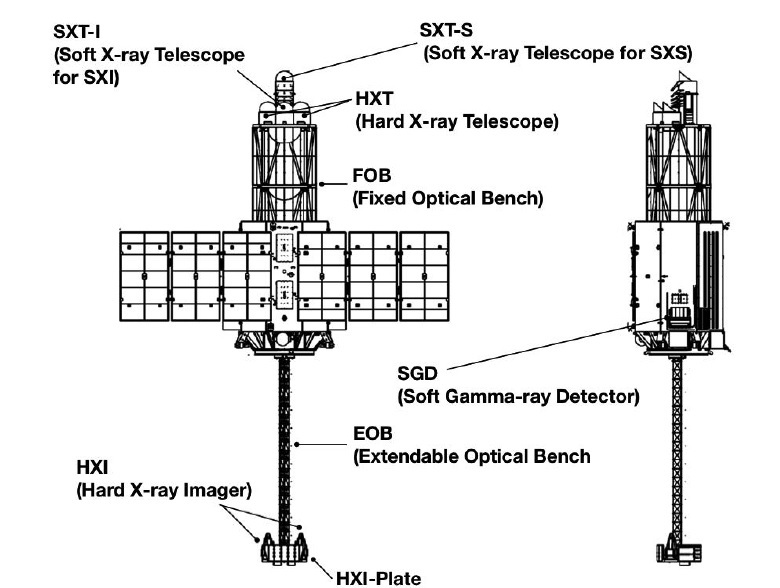 The X-ray range of the electromagnetic spectrum is suitable for probing extreme environments in the universe like areas near black holes or neutron stars, high-temperature gas and zones of electron acceleration. Observing galaxy clusters and revealing their historical evolution will lead to an improved understanding of how the largest structures in the universe form and evolve.